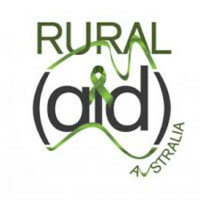 Rural Aid was founded in 2015 to provide a holistic support program to rural Australia. We understand the needs of our primary producers and aim to lend a helping hand when times are tough. And times are tough NOW. With the Buy a Bale program, we know that a whole truckload of hay at once isn’t always helpful, and have committed to providing smaller deliveries more frequently. Recent weather events such as fires and cyclones have meant that there is even more call for our services than ever before. Funds raised by Rural Aid support our mental health counselling program and other Rural Aid initiatives. Charter Hall is proud to support Rural Aid in creating a resilient Australia. Australia is currently facing one of its worst droughts, with 100% of NSW, 60% of Queensland and Northern South Australia and Southern Western Australia being drought declared areas. The farmers and rural communities in which we operate are under extreme stress to maintain both their farming operations as well as their mental health. Charter Hall has partnered with Rural Aid to support Australian farming communities through their buy a bale campaign, hampers to help, gift of music and mental health counsellors. From 13-19 September 2018, 19 of our Retail Shopping Centres will ‘build dams’ in centre to pool community donations in support of Aussie farmers experiencing drought and requiring ongoing support. The Dam Good message will be spread throughout the centres via the voice of country music performers, raising drought awareness and encouraging shoppers to make a donation in the man-made dams. General Donations – Help keep our wheels moving. Give what you can, every $10 makes a difference. This campaign is being run in aid of Donate to Rural Aid and Support Australia's Farmers. Thank you for your donations and supporting Rural Aid.